Yamila - Iras Fajro. Vinyl LP. Bleep. Forbidden Colours (Reykjavik606, Eduardo De La Calle) drop the debut LP from Spanish singer-songwriter Yamila. 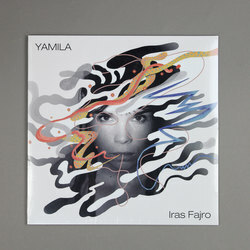 On Iras Fajro, Yamila comes through with a powerful brand of leftfield electronic pop. The tracks here tend to juxtapose big beats and forceful synths with twittering effects and dreamy production. Yamila’s voice sits in the middle of this in a manner that recalls an artist like Sobrenadar. Clark and Nino de Elche guest on a track apiece.